The 18-year-old was originally with the Under-21s, but has now joined the rest of Gareth Southgate's side as they prepare for the European Qualifiers against the Czech Republic at Wembley on Friday, and away to Montenegro on Monday. I thought the manager (Aidy Boothroyd) was joking. I was shocked and then when I heard that I actually had to go over, I couldn't believe it. I was delighted. 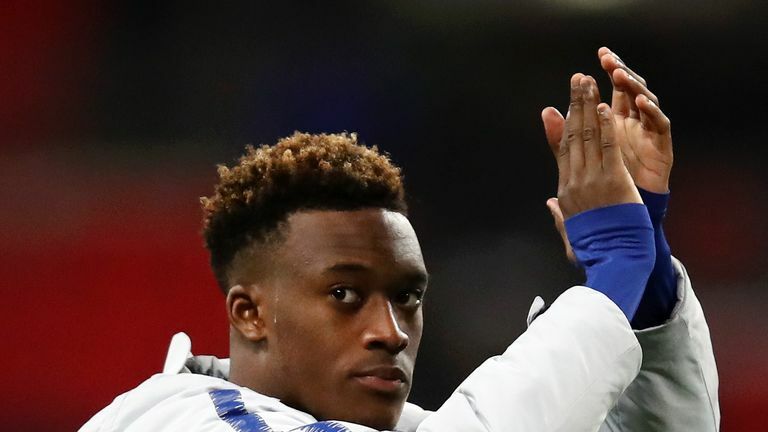 "It's been a crazy day but getting my first [senior] international call-up is an amazing feeling," Hudson-Odoi said. "Today has been a very long day for me because I had to travel to Bristol first for the U21s and then getting told that I have to come over here to St. George's Park, it's been a crazy experience but I'm delighted to get the call and it's a nice feeling to be here as well. "I thought the manager [Aidy Boothroyd] was joking. I was shocked and then when I heard that I actually had to go over, I couldn't believe it. I was delighted. It's a dream come true. "Now I've got to work hard, enjoy every moment and keep working to just hopefully make an impact when I get the opportunity.